Q. I need to speak with technical support regarding my current Dell system. What do I do? 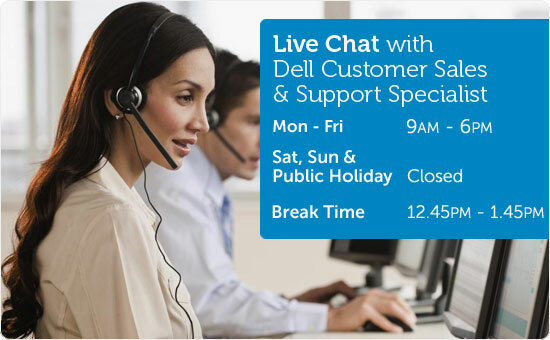 A. Dell offers technical support via phone and chat. You can reach technical support at 1800-395-7984. Q. I need to speak with Customer Care regarding a system I’ve already purchased/own. What do I do? A. Dell offers support via phone and e mail. You can reach Customer Care at 1800-395-7984. You may also email Customer Care. Q. I've placed an order, but I still have a few questions regarding that order. Where can I direct these questions? A. You can call our Order Status Line at 1800-395-7984. Q. I received an order confirmation email, but the email did not contain an order number. Did my order go through? A. Yes, online orders are manually pulled through by our online team. In most cases this happens very quickly, but it may take up to 72 hours to generate an order number. If an order number has not been issued to you within 72 hours, call Customer Service at 1800-395-7984 or email Customer Care. Q. I purchased a pre-installed version of Microsoft® Office. Will I receive an installation disc for this Office suite in case I need to re-install? A. All versions of Microsoft Office offered by Dell will no longer be provided the re-installation disc. If you need to reinstall your Microsoft Office 2010 software, you can do so from this site: http://www.office.com/backup. To download or order a backup DVD you will be required to provide a valid Office 2010 Product Key. It is important to understand that pre-installed copies of Microsoft Office are OEM, and are available for single-license use only. You can view the limitations of OEM licensing at www.microsoft.com. Q. Where can I find replacement parts for my Dell system? A. Yes. They may be found on the Spare Parts Website or by calling 1800-395-7984. Q. Can I trade my old system in for a discount towards a new purchase? Q. I would like to know of type of payment I can use to pay for my purchase? A. We offer a variety of convenient payment options for purchasing Dell products online. You refer to the Payment Option page for more information .